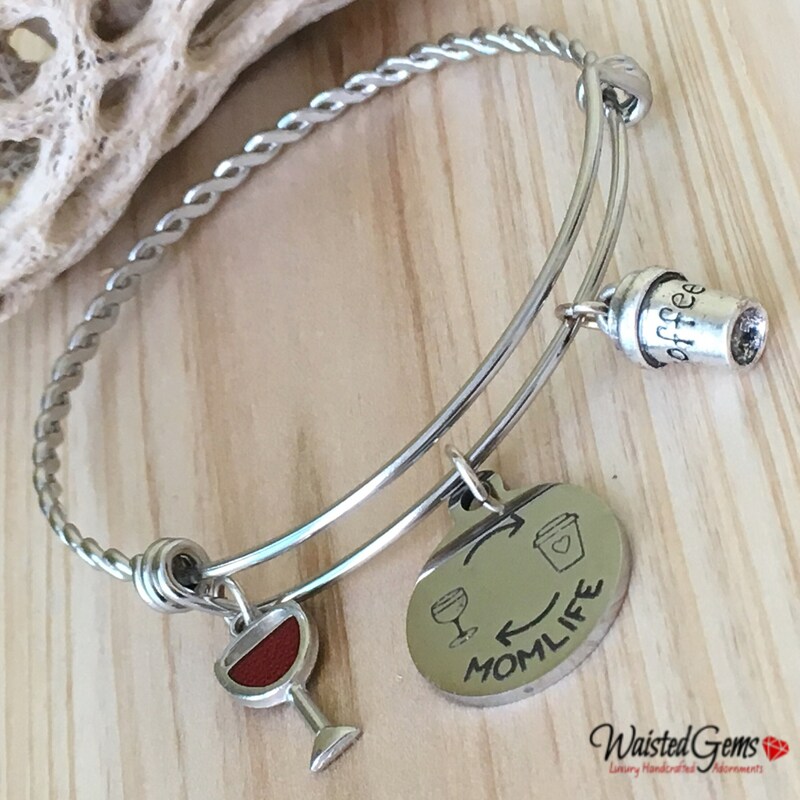 Mom Life Custom Twisted Adjustable Bracelet is crafted of stainless steel twisted bracelet with laser engraved stainless steel charm and a silver enamel wine glass and silver coffee cup. The Bracelet is twisted hammered stainless steel wire bangles making it an elegant twist ~ Bangle fits a size 61/2 to 71/2 wrist. Because these are solid stainless steel, they will never tarnish, chip or lose plating (because there isn't any plating.) You can even wear them in the shower, pool, or ocean!